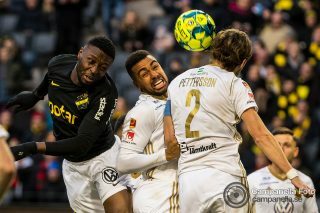 This past weekend I had the opportunity to go and photograph a derby match between the two principal teams in Stockholm. Actually there is a 3rd team but they are currently in the second division and not looking likely to come back up into the principle league. Derbies are always amazing atmospheres to cover as a sports shooter, but aside from it being a derby match there were plenty of interesting dynamics leading into this match. Last season Djurgården was nearly relegated into the second division, avoiding it by winning a play off match. 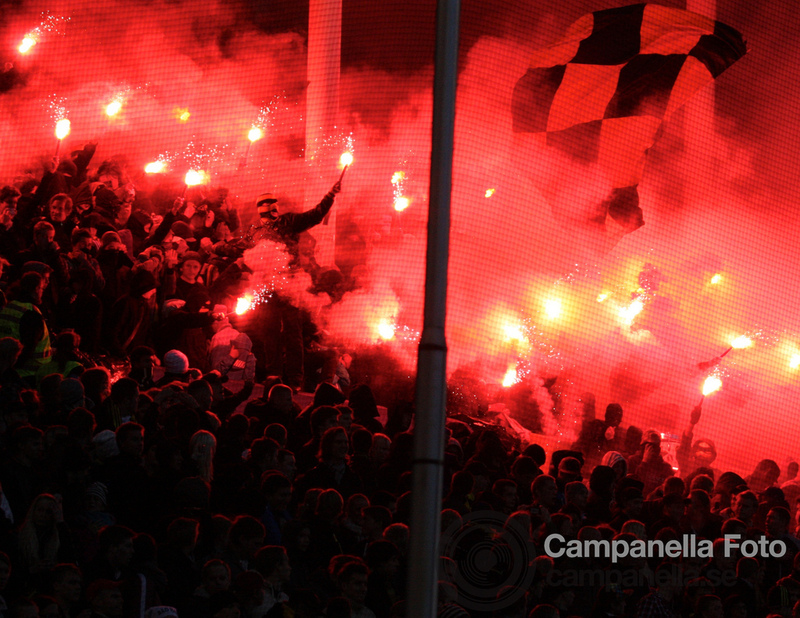 AIK last season was the winner of the Swedish league. This season it’s looking possible that AIK might face relegation, meanwhile Djurgården has been climbing towards a possible play off place for qualification in next season’s Europa League. 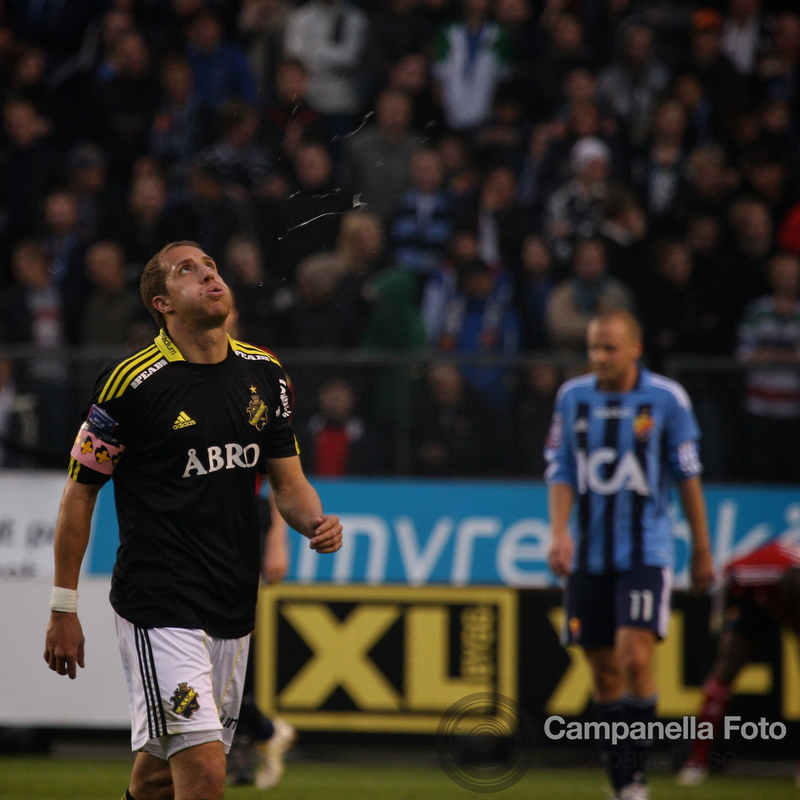 AIK started off the match strong and took an early lead through a penalty scored by their captain David Pavey. However Djurgården fought back and had it all square by half time. 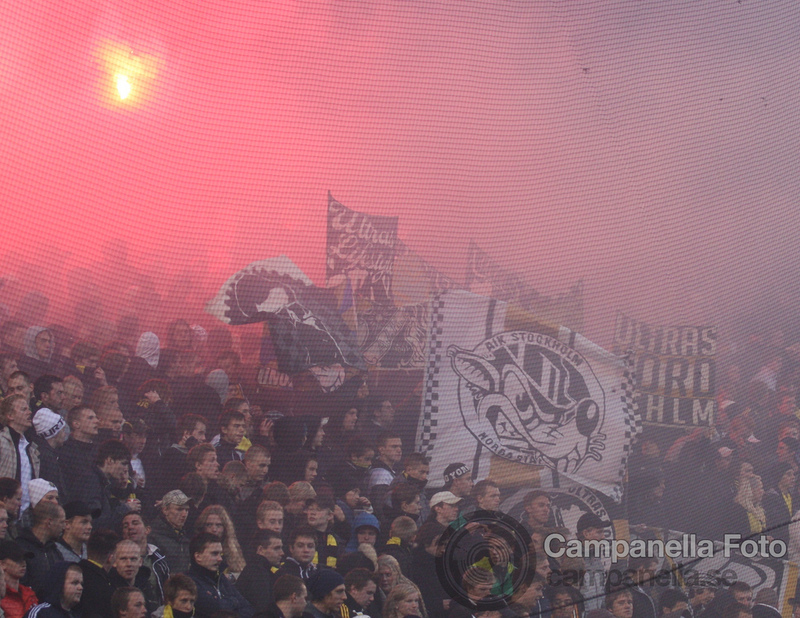 This set off the AIK fans, and us photographer that were working under their section ended up having to move to the sidelines as the police set themselves inline along their section. 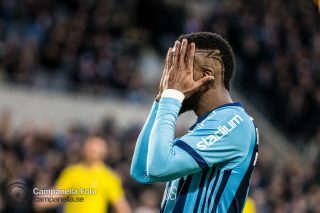 In the second half Djurgården took the lead very early on and for all their hustle AIK simple wasn’t able to come back and equalize.